Evernote managed to freak out a good share of it’s users today when they instigated a global password reset … with no warning! The reason given was a breach of Evernote’s security, you can read the details on the Evernote blog. 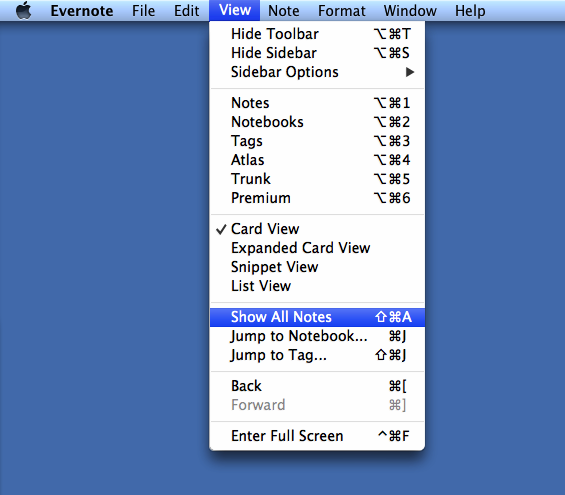 Navigate to the All Notes view by selecting View > Show All Notes from the menu or use the Shift & Command & A shortcut key. The Export process is very fast and once the export is complete a dialog box will be displayed to inform you the task is finished. 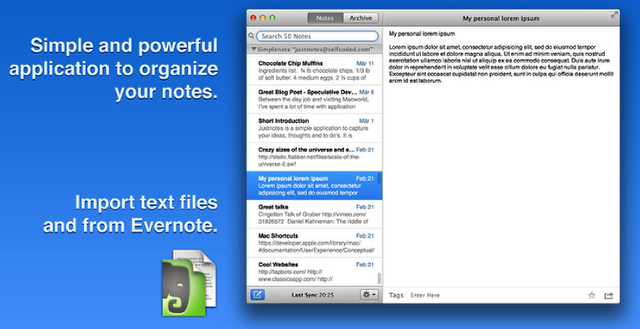 I use JustNotes to test the integrity of my ENEX files. 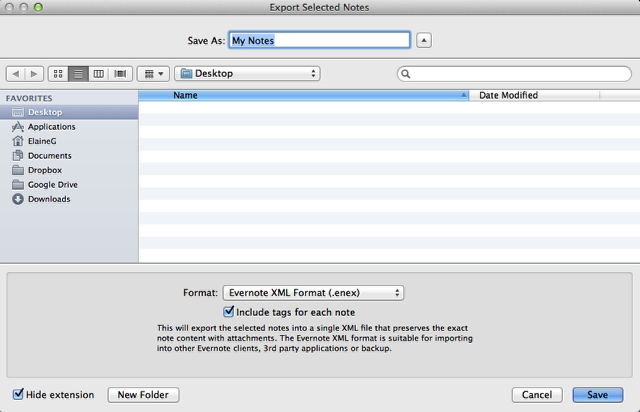 It’s a simple matter of selecting FIle > Import from the JustNotes menu and importing the ENEX file. That way I can be certain in the event Evernote fails I can still read my notes. 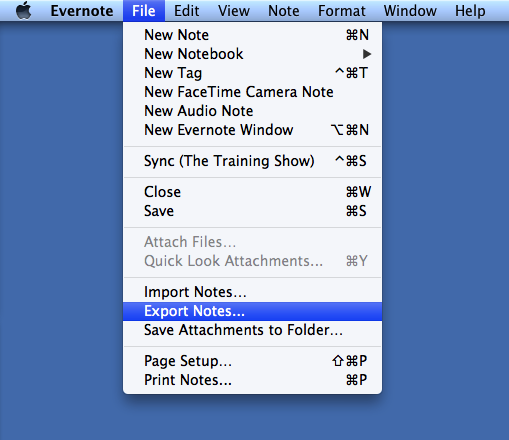 Do the files exported contain any embedded documents stored within the Evernote Note, such as PDF’s etc etc? Yes they do. Everything that is in the original note is preserved including the tags. There’s a full description in the image above in the “Export Selected Notes” step. I have just over 3,000 notes, about 10% of them have large attachments (25MB+) and the backup takes less than 90 seconds. 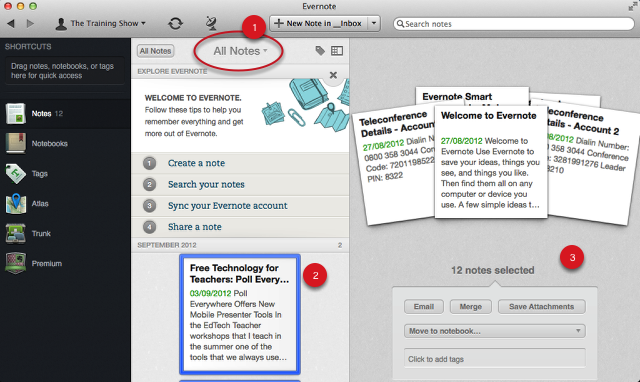 I use Evernote in the same way I would a normal paper based notebook. I don’t store anything in there that I can’t afford to lose. I’m still a big fan of DevonThinkPro Office and use that a my secure notes repository. Good way to work and that’s how I used Evernote for about 4 years but recently I’ve expanded the range of content I keep in there. Still nothing that I couldn’t afford to lose access to but making frequent backups I don’t tend to work about that anyway. 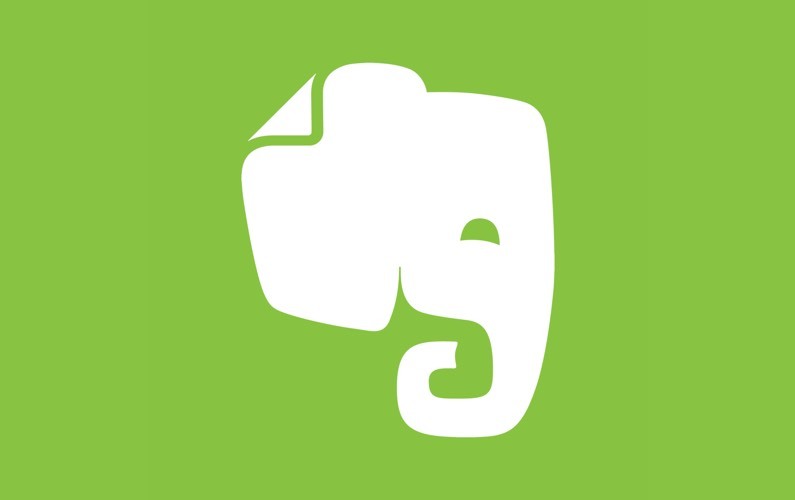 I extended what I used Evernote for because the portability of transient notes has become much more important over the past couple of years and I don’t want to have to stop and think about where my data is stored before I can access it. I still use DEVONthink Pro Office for the majority of my digital filing/scanning and I certainly don’t keep sensitive information in Evernote. Couldn’t live without DTPO’s fabulous search options! I just did a test run of JustNotes. While I’m thrilled to have a backup of my textual notes (that doesn’t rely on the Evernote software), I was wondering how you back up attachments that you have stored in Evernote (pdfs, jpgs, etc). Also, what about web clippings? JustNotes doesn’t seem to even have the URL of a clipped note.